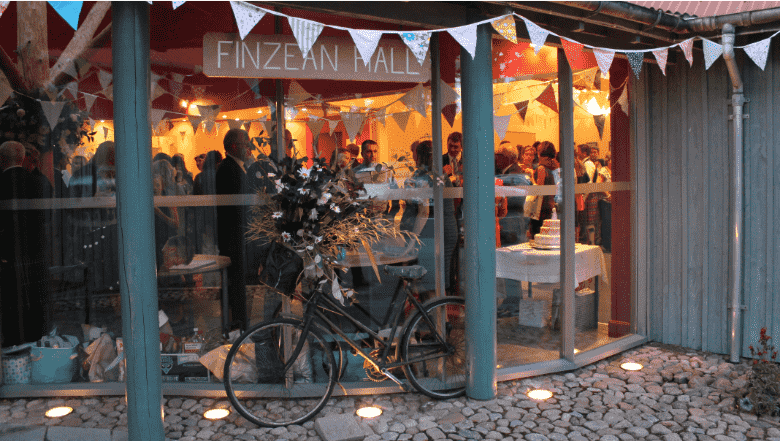 Finzean Hall is situated in the valley of the river Feugh, half way between Banchory & Aboyne on the B976. In 1928 the Farquharson family built a traditional hall for village gatherings and in 2003 a major community project brought the amenities up to date. The Hall is warm, welcoming and regularly used with a large glass fronted contemporary foyer & bar, a small conference hall and large dance hall with the original wooden flooring and open roof beams. Once the folding door systems are open the whole space is ideal for weddings and larger functions. The Hall is central to the celebrations, weddings, clubs, meetings and parties within our community and maintained and run to a high standard by local volunteers who help promote and look after it. Our friendly hall keeper is happy to advise if you need further information. Copyright © 2019 Finzean Hall. All rights reserved.